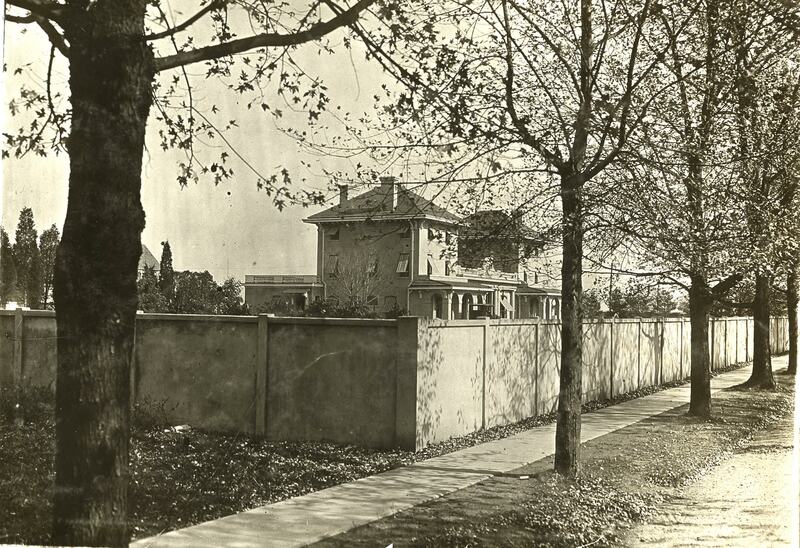 Last Friday's Mystery Foto was Grave's Garage in Mineola in 1908. 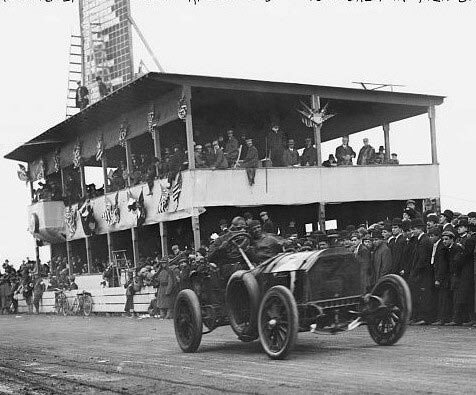 The car shown was the #3 Mercedes driven by Emil Stricker in the 1908 Vanderbilt Cup Race. 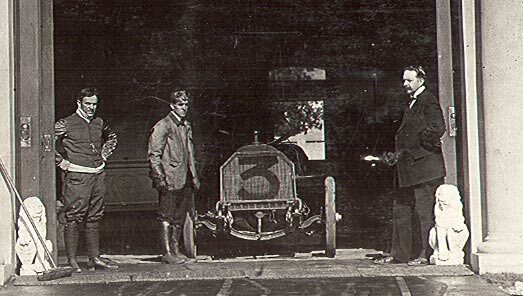 Robert Graves was the owner of the #1 Mercedes that raced in the 1905 Vanderbilt Cup Race and the two #3 Mercedes that raced in the 1906 and 1908 Vanderbilt Cup Races. Congrats to Ariejan Bos of the Netherlands who once again got the answer 100% correct and even corrected an earlier VanderbiltCupRaces. com website page. Kudos to Greg, Art and Ted who identified Grave's Garage. More images and details are below. Art, thanks for forwarding information and photos. A 1905 article on Robert Graves, the man on the far right in the above photo. 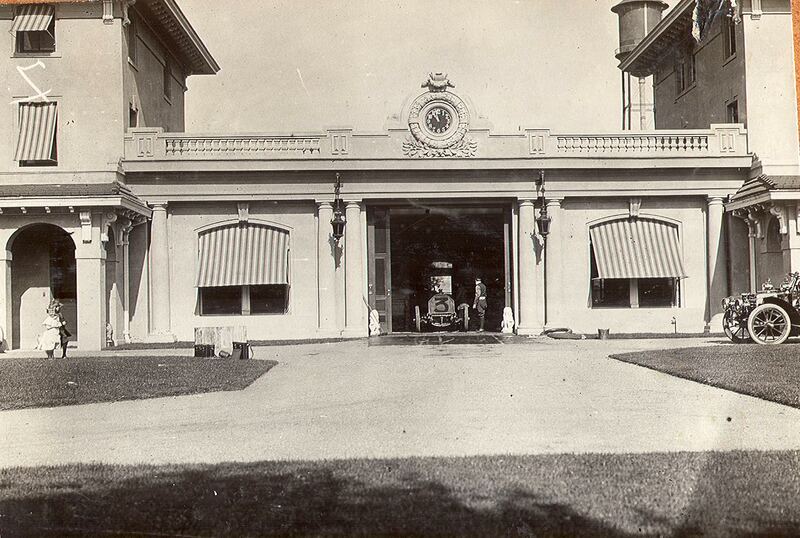 Grave's Garage was the most elegant and expensive garage on Long Island. Note the design of the number 3 on the car. 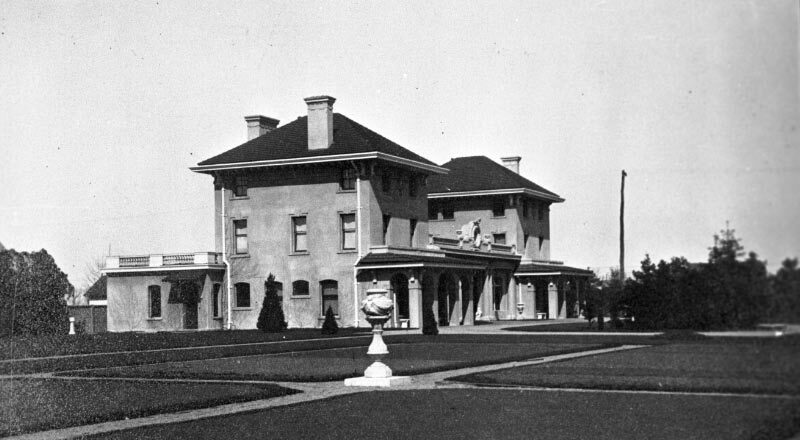 Unfortunately, during construction in September 1906, the building collapsed resulting in the death of three workers with twelve more injured. 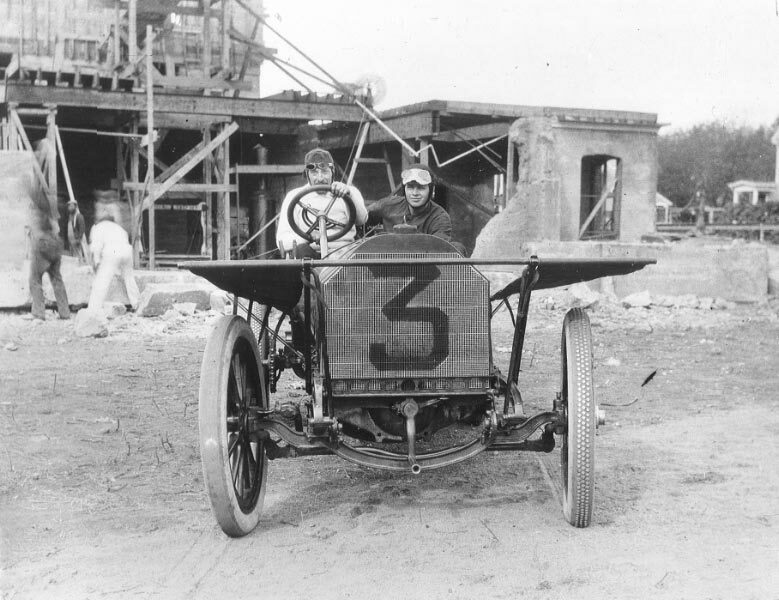 Driver Camille Jenatzy posing in front of the collapsed building prior to the 1906 Vanderbilt Cup Race. 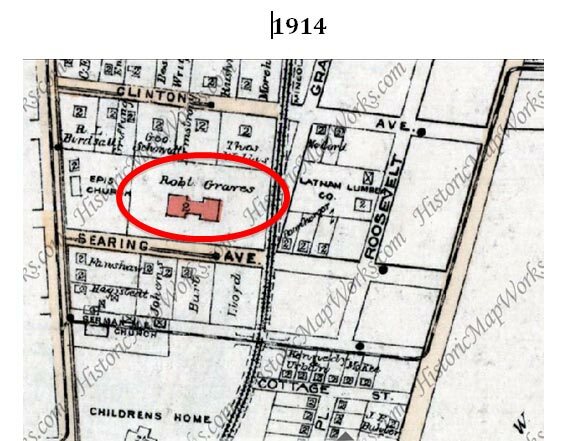 Grave's Garage was located north of Searing Avenue in Mineola. For 88 years, Corpus Christi School has served the children of its eponymous parish, offering a Catholic education all the way from nursery and pre-K through eighth grade. Originally staffed by the Sisters of St. Dominic, the brick-and-mortar school is actually two buildings - the original built in 1922 and a newer wing in 1953 - connected by a breezeway. 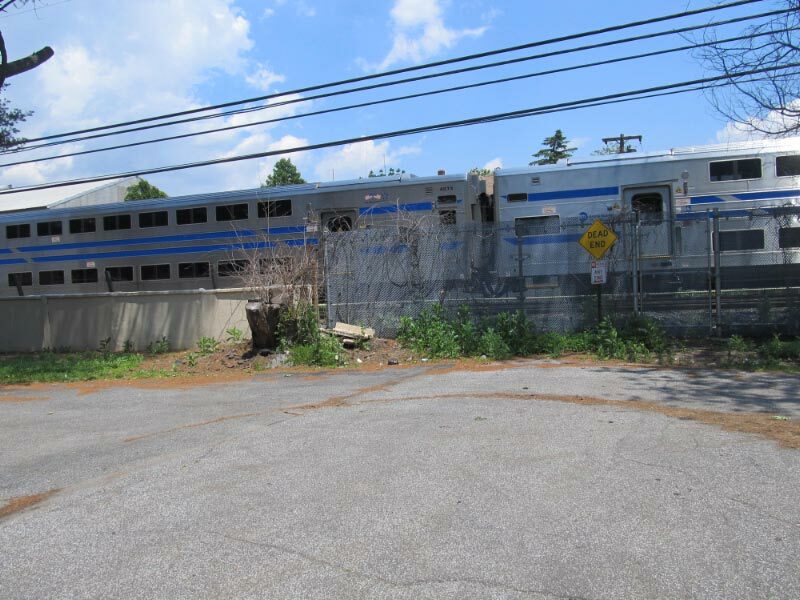 The two-story structure is located at the very end of Searing Avenue's dead end, next to the Long Island Rail Road tracks. The school has two free parking lots: one directly across from the front entrance and the other located in building's rear. A playground for younger students is also on the premises. 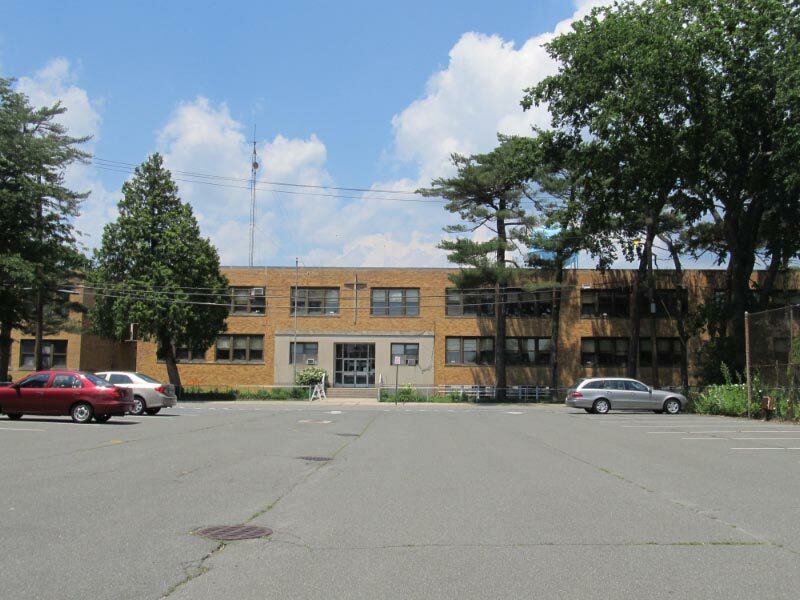 The Diocese of Rockville Centre cited declining enrollment as the main reason for its decision to close the school after the 2009-10 school year. Th only remaining remnant of Grave's Garage is the concrete wall surrounding the property. 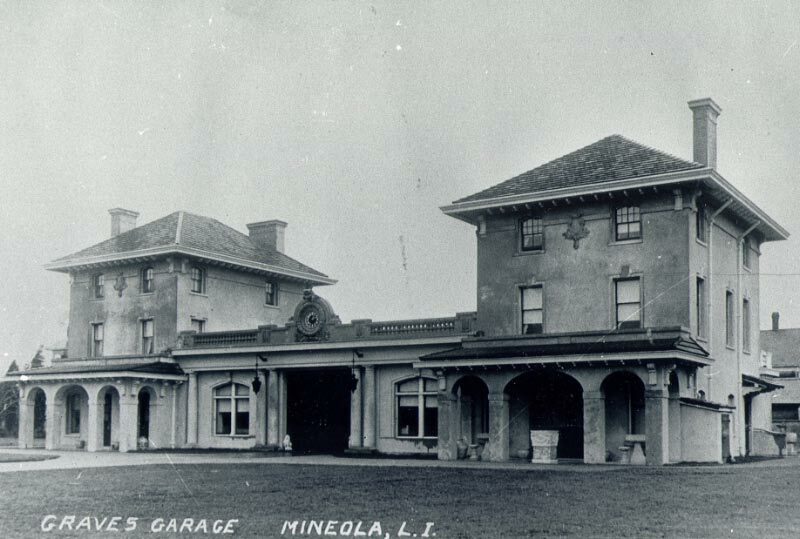 The building is of course the garage of Robert Graves in Mineola. 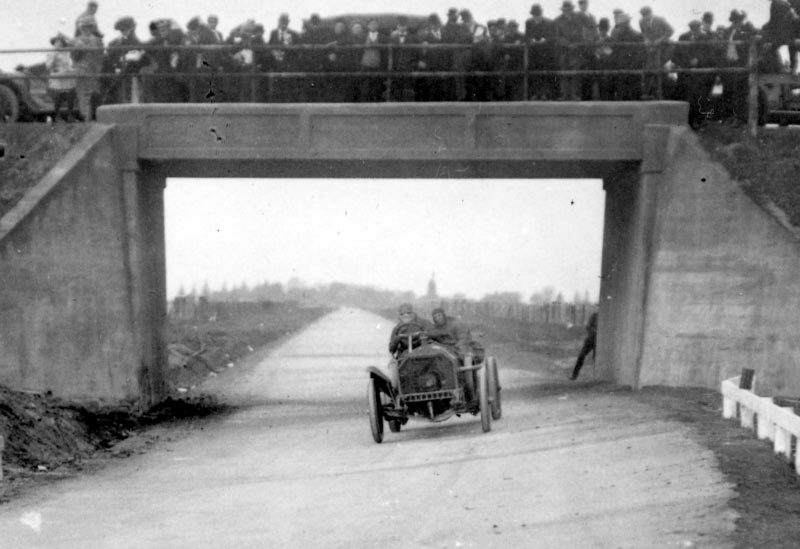 The car however is not the #3 Mercedes, participating in the 1906 VC-race (as stated in the post on your site regarding the VC-garages), but the Mercedes with same number driven by Stricker in the 1908 VC-race! Note the high radiator pipe and the outline of the number 3, which differs from the 1906 Mercedes. For me, aerials and maps (as well as LIGC estates) are my loves and what I know, so this one required a little research. At least I didn’t have to leave the VCR website! Hence, why I assume you called it a ‘softball’! The journey’s always fun learning about the subject and other things along the way. 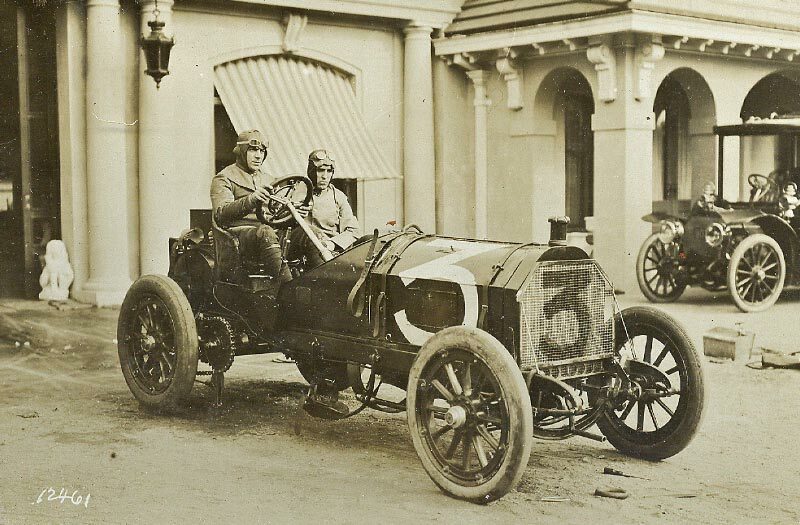 I discovered this was the #3 Mercedes driven by Emil Stricker in the 1908 races. In the above photos, it’s without fenders. I assume they were returned to the car for the race since there were quite a few unpaved roads. -Thinking of that sound made me appreciate the fact that Vanderbilt put leather fenders on his Lincoln! 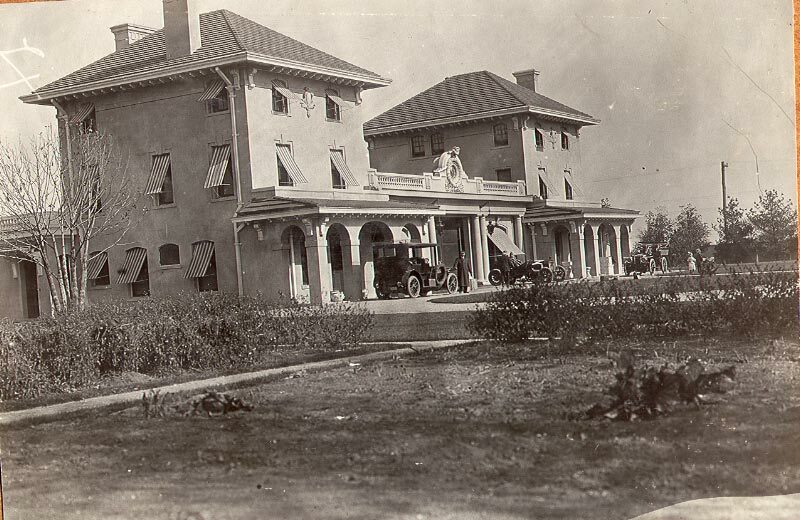 ‘One of the largest and most elegant garages was built [in Mineola] by Robert Graves, the owner of Mercedes racers entered in the 1906 and 1908 Vanderbilt Cup Races. Unfortunately, during construction in September 1906, the building collapsed resulting in the death of three workers and twelve more injured. 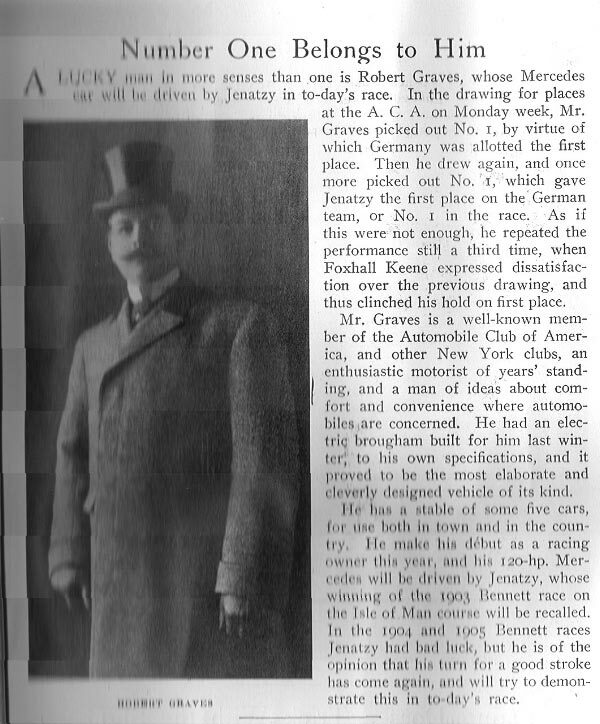 Mercedes owned by Robert Graves. Robert Graves Garage in Mineola (Searing Avenue). Good morning Howard, Taking a crack at it didn’t work,but then after I saw the garage on your home page on the bottom right side I knew what to do and I got it. You didn’t mention if it was the Mercedes and which one. 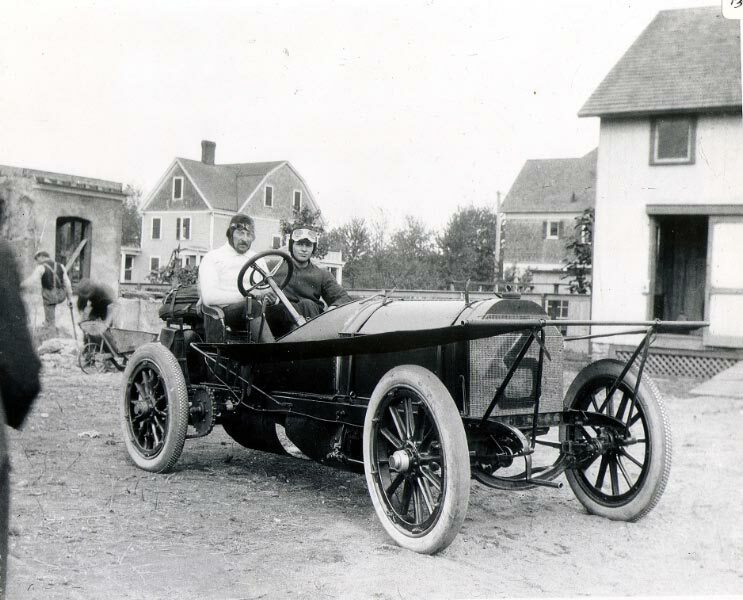 I should have gone with my reasoning that it couldn’t have been the 1906 car since the picture showed it in front of a garage that obviously wasn’t collapsed. 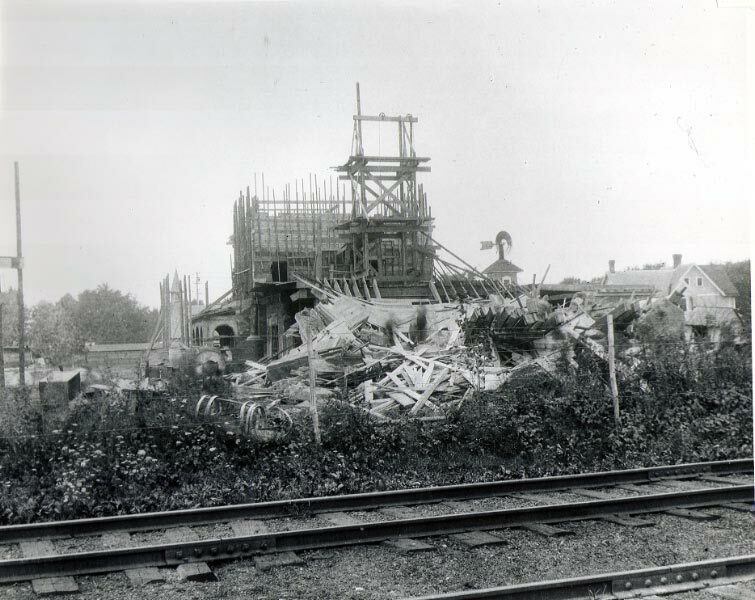 Would have taken a year or two to have it rebuilt just in time for the 1908 picture of the Mercedes. Guess I also couldn’t differentiate between the two drivers faces. Almost!